You will pay a lot of money to run your business, including basic overhead like rent and utilities, as well as extras like flights to attend conferences or meals to entertain clients. Many of these expenses are deductible on your taxes since they reduce your profits. Working with an Arizona tax lawyer or certified public accountant can help you understand what deductions are allowable so that you can minimize your tax obligation legally. You may think that have to hang on to every last receipt if you are going to claim these deductions, and you may panic if you lose a receipt or fail to secure one. Fortunately, thanks to something called The Cohan Rule, you don’t necessarily have to have receipts for all your expenses in order to claim them on your taxes. In the early 1900s, George M. Cohan was a famous Broadway star. He found himself the subject of an IRS tax audit and had to defend many of the business expenses he had claimed as deductions on his return. The IRS ruled that he could not claim many of the deductions because he did not have the receipts to document his expenses. However, Cohan then turned around and took the IRS to court, appealing the ruling and having it overturned. The court ruled that the IRS must accept the estimated expenses even without the receipts. With that case, The Cohan Rule was established. It allows taxpayers to deduct expenses for business even if they do not have the receipts to document them. The ruling says that the expenses must be reasonable and credible, so you can’t go saying that you spent $1,000 on a hammer or $500 on a burrito. You have many options for showing what you spent on your business operations even if you do not have receipts. You can show canceled checks that you wrote to cover the expenses, or you can show your credit card or bank statements. You can even show calendar notices or invitations for events that you attended to show that you did not make up the expenses. Without these items, you can also simply estimate your expenses based on your best recollection. With or without this backup documentation, you will not be able to deduct the full cost of your expenses without receipts. The IRS will determine the minimum standard amount for the item or service purchased and will only allow you to deduct that minimum. The situation in which you are most likely to use The Cohan Rule is in an audit. After all, you do not have to submit receipts along with your tax return. The IRS accepts the numbers you include on your form unless they have reason to suspect otherwise or they randomly flag your return for an audit. When you are audited, you will have to show your receipts or other documentation to justify your deductions. If you cannot, the auditor may try to tell you that you cannot claim the deductions. You should cite The Cohan Rule yourself and advocate for your own rights. Of course, working with an experienced tax audit lawyer in Phoenix can help you navigate the audit process and protect your rights. Your lawyer will cite The Cohan Rule if applicable and help you find other ways to document or justify the expenses. Your lawyer will also help you find other ways to minimize your tax obligations during the audit, so you may uncover more savings unrelated to your undocumented expenses. 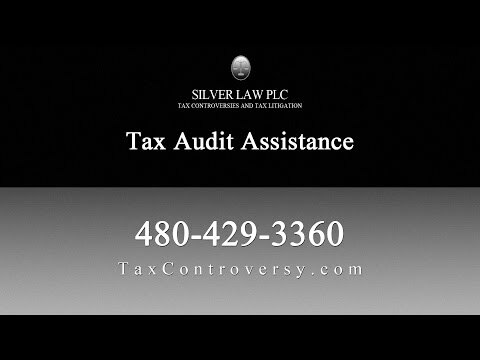 Silver Law PLC and their Scottsdale Arizona tax lawyers can help you with your IRS tax audit. We represent individual and business clients in audits, collections, tax litigation, and other tax matters. Our experienced tax lawyers have extensive knowledge of the tax code and will use that expertise to help you minimize your tax obligations and protect you from fees and penalties. With the right representation, you can protect your legal rights and your bottom line. Call us today to talk with a tax lawyer about your tax audit or other tax concern. We’re ready to help!